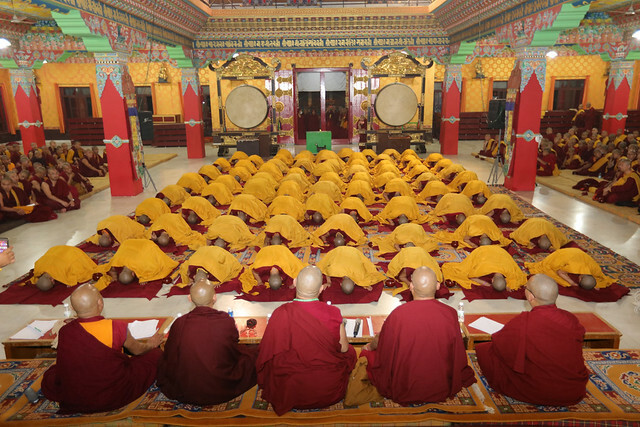 Although more than fifty Kagyu nunneries and monasteries are represented at the Kagyu Monlam each year, only a core of twenty-four enter the competition. 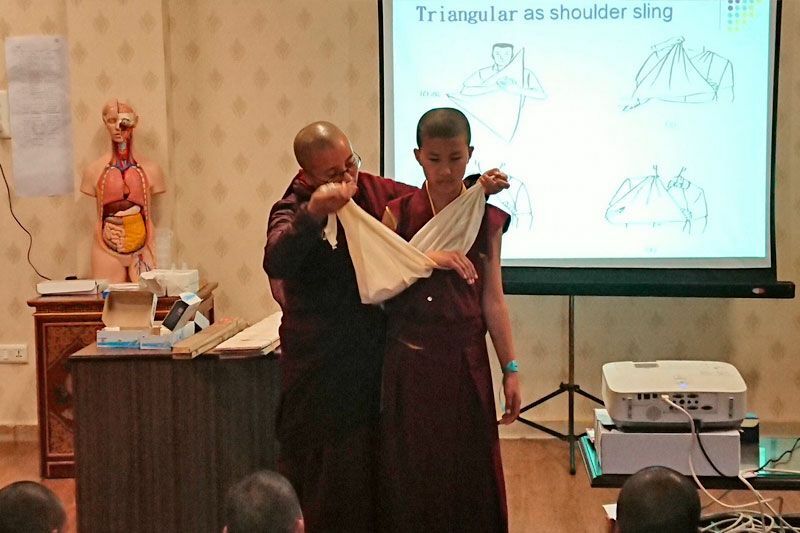 This year’s competition was held over two evening sessions in the shrine room at Tergar Monastery. A lottery established the order for the test, which had to be completed under timed conditions, the countdown displayed on a screen. 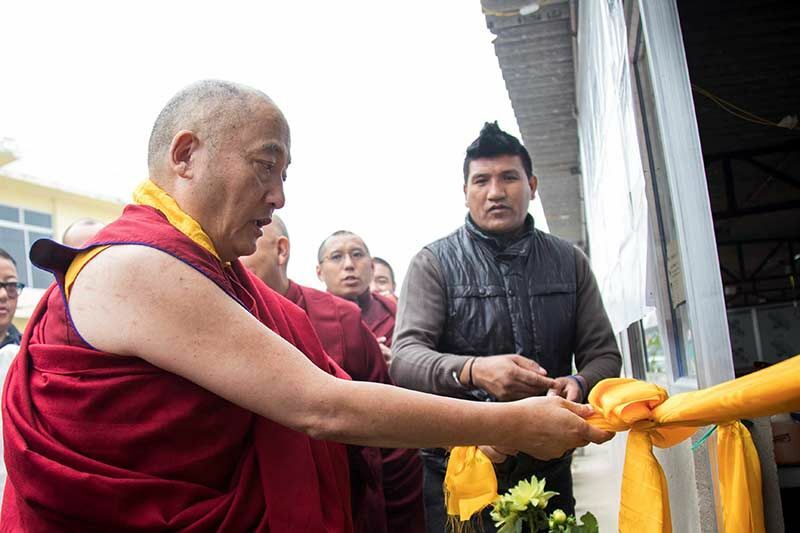 The panel of judges comprised six senior khenpos, headed by Khenpo Lobsang Nyima, principal of Karma Shri Nalanda Institute for Higher Buddhist Studies, the shedra at Rumtek Monastery. 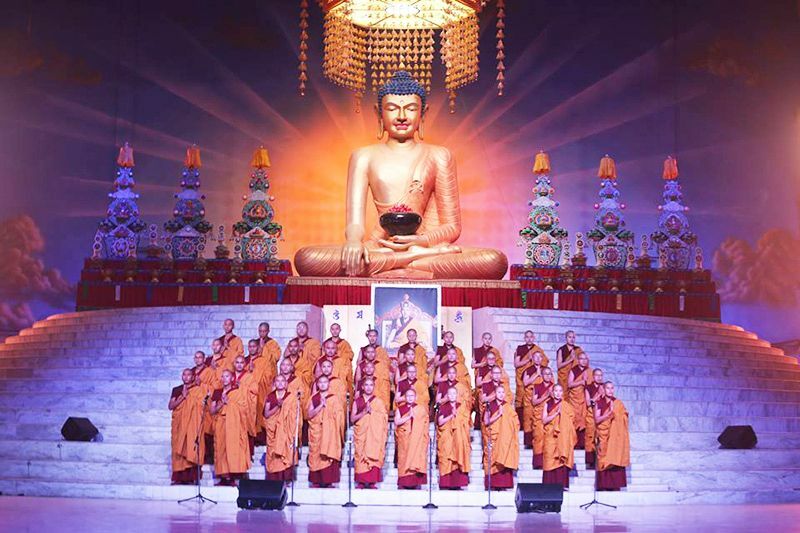 The monks and nuns had to demonstrate that they knew the correct way to wear the robes; the correct way to prostrate; the correct way to walk; the correct way to sit; the correct way to accept food and drink; and the correct way to chant offering prayers. So far, although outnumbered by the monks, the nuns have been particularly successfully in the competition. 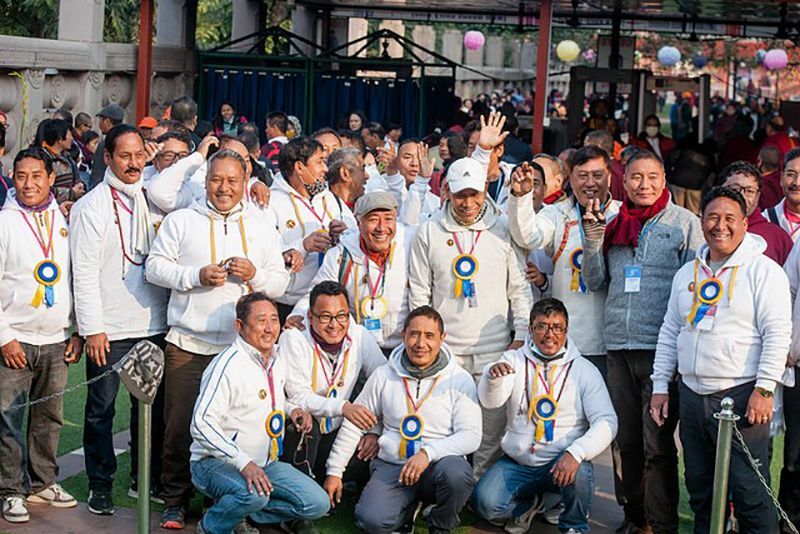 As there are no fully ordained nuns yet in the Kagyu tradition, they can only compete in the novice category, but last year they took all three prizes! Karma Drubdey Nunnery took first prize, Palpung Yeshe Rabgye Ling Nunnery was second, and Thrangu Tara Abbey came third. 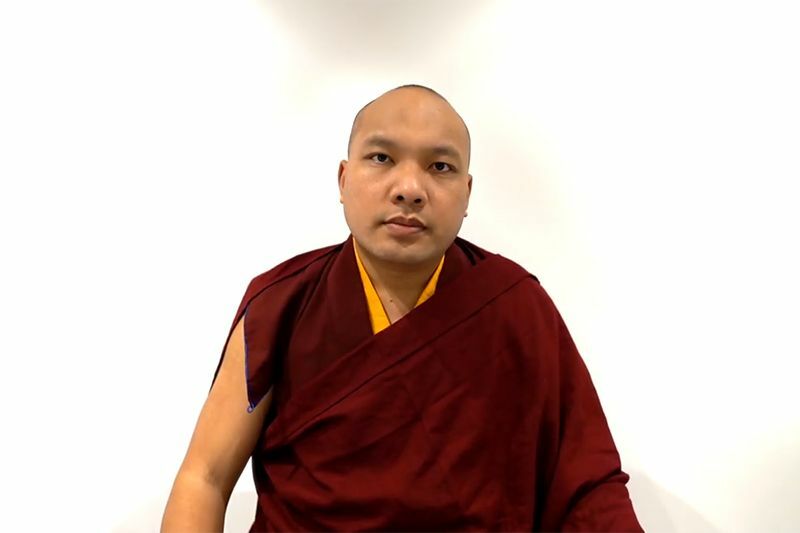 Usually the prizes are awarded on the last day of the Monlam but this year, as His Holiness the Karmapa is unable to attend the Monlam, the winners will have to wait until the 36th Monlam, when the 17th Karmapa himself will present them in a special ceremony.